Develop interpersonal skills, cultivate decision-making skills and start thinking like an entrepreneur. 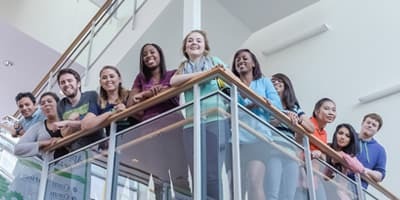 The skills you acquire with your Bachelor of Science in Management from University of Houston-Clear Lake can be applied to areas like personnel management, organizational behavior, production, international and small business, healthcare, government agencies, financial institutions, hospitality, retail or education. Learn the foundations of management and select area of specialization within the context of leadership, human resource management or environmental management. Regardless of your point of entry into the business world, your coursework will help you acquire the essential skills in operations management and quality control, business ethics and more. Management skills are applicable in nearly every industry across all sectors. UHCL professors, who are active business professionals and are deeply invested in your success, will equip you with the tools necessary to become the indispensable person who can pull people and projects together—the essential function of a business manager. Join the Management Association Student Chapter at UHCL and benefit from speaker events and activities that promote networking between students and management professionals. 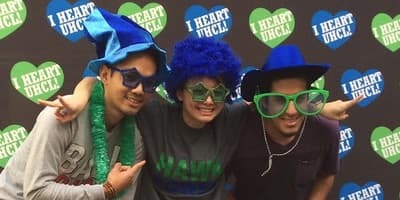 In addition, UHCL’s internship and co-op programs are great opportunities to create connections and gain experience before you graduate. Ready to submit your application to University of Houston-Clear Lake's College of Business? Make sure you have what it takes as you begin the admissions process. Each course of study in the College of Business here at University of Houston-Clear Lake has specific degree requirements you must fulfill to graduate. Find out more today. 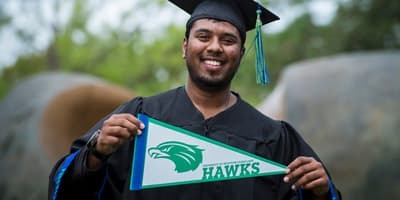 Start your college budget today with a look at possible costs for your degree from the UHCL College of Business. *Online application closes May 21. Freshman students applying after May 21 must submit all required documents along with paper application to the Office of Admissions. Online applications close for transfer students after the Priority Deadline. Students who apply after the priority deadline must submit all required documentation with their paper application to the Office of Admissions and will be processed for late registration. International freshmen applicants will not be accepted for Summer semester. Since 2010, University of Houston-Clear Lake at Pearland has proudly served as an upper-level institution serving juniors, seniors, and graduate students in fields like business and behavioral science. University of Houston-Clear Lake is an accredited member of AACSB International—The Association to Advance Collegiate Schools of Business.